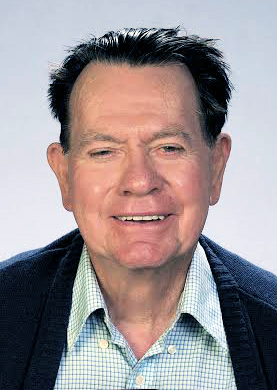 ARCHIE SCOTT, Researcher & Writer has become one of the foremost authorities on the medical use of DMSO. He is perhaps best known as the developer in 1975 of the original protocols for the use of the DMSO/Laetrile combination by the intravenous slow drip technique for the treatment of cancer. This treatment is still used by many cancer clinics around the world. In April of 2011 he wrote the protocol for the treatment of radiation poisoning by the use of DMSO. He is a 1959 graduate with a B.S. Degree in Science from Oregon State University. A basketball knee injury in his senior year of high school prevented him from obtaining a college track scholarship, but this injury along with a later football injury to his other knee resulted in his becoming interested in the use of DMSO for the treatment of athletic injuries. After meeting with Stan Jacob, M.D. at Oregon Health Sciences University, he became interested in the use of DMSO for a wide range of conditions. Archie has been a consultant for Clinics in California, Oregon, Nevada, Florida, New York and Mexico for many years. He was also a Consultant for a 6-month research program using DMSO in the treatment of brain damaged children at the Fairview State Hospital in Costa Mesa, California. He is currently involved in the treatment of brain damage in former football players. Archie is also the author of his DMSO Handbook For Doctors, which was published this year. He will speak on DMSO In The Treatment Of Cancer, Brain Injuries & Other Problems.